Seagate today announced a new storage solution intended for use with Microsoft’s Xbox Game Pass subscription service. 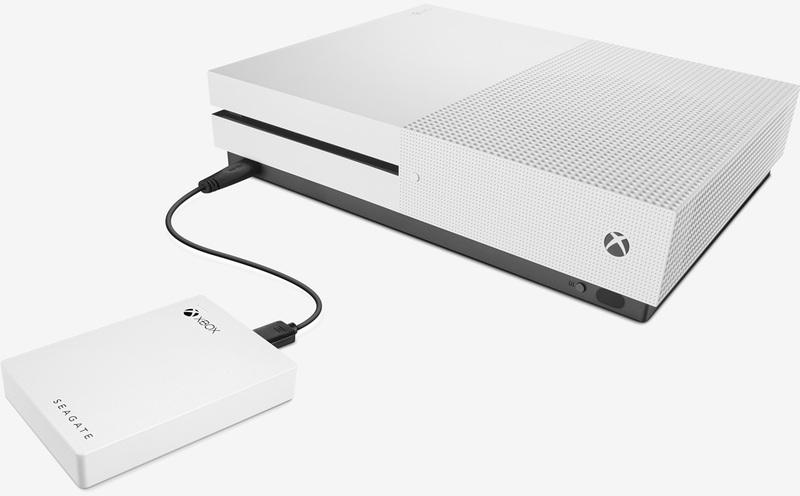 The Seagate Game Drive for Xbox Game Pass Special Edition (yeah, that’s a mouthful) is an external hard drive offered in 2GB and 4GB capacities that connects via USB – no separate power cable needed – and is compatible with both the Xbox One and Xbox 360. Your console should automatically detect the drive when first plugged in and walk you through the initial setup process. As an added bonus, Seagate is bundling a free one-month subscription to Xbox Game Pass with the 2TB version and a two-month membership with the 4GB variant. Microsoft launched its Xbox Game Pass service exclusively for Xbox Gold members last week. Viewed by many as the Netflix for games, the service offers unlimited access to more than 100 Xbox One and backward compatible Xbox 360 games for $9.99 per month. Unlike other services that work via streaming, Xbox Game Pass titles you want to play are downloaded directly to your console’s hard drive, hence the potential need for added storage. On Thursday, Microsoft opened the subscription service up to all users. The Seagate Game Drive for Xbox Game Pass Special Edition will be available later this month. It’ll carry an MSRP of $89.99 for the 2TB version and $129.99 for the larger 4GB model.